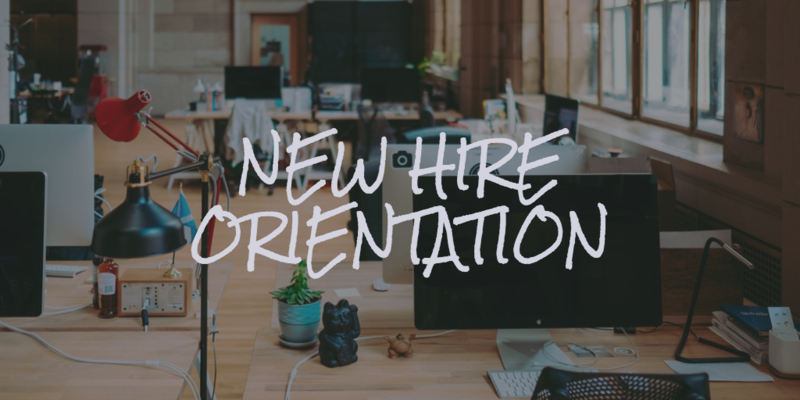 When you welcome a new employee into your company, new hire orientation is often an important component to ensuring that they get off to a strong start in their new role within your organization. The goal of new employee orientation is to welcome the new employee, get them integrated into the organization, and have them performing their new job successfully as quickly as possible. New hire orientation and onboarding work best when it's a comprehensive, systematic process of integrating new employees into the organization. In most organizations, there's a core set of information that you need to share with every new employee. Often new hire orientation looks like a fairly process-driven day: receiving policies, filling out forms, learning about payroll and benefits, et cetera. While these areas are important, it doesn't have to be just that. New hire orientation done well can improve employee retention from the start. Research from Deloitte shows that 4% of new employees will quit after their first day, and 22% of employee turnover occurs in the first month and a half. It's not a surprise then that 79% of business leaders surveyed said onboarding is both an urgent and important priority. Onboarding is an opportunity to introduce new hires to the organization's culture, communicate its mission, and help new hires develop affinity with their new team. anything else relevant for the new employee to working in the new company. Whether you're putting a new hire orientation together for the first time or revising an existing one, here are some tips on how to put together a successful new hire orientation. New hire orientations are often trying to address multiple stakeholders and solving for multiple goals. Who are the stakeholders and what are they trying to accomplish? You may be surprised by how many there are. For the HR and Legal department, this may be the right time for employees to complete and sign all necessary paperwork and receive training so they're in compliance with company policies. The hiring manager's goals are to get the new hire ramped up and in their new team and role as quickly as possible. The executive team may be focused on reinforcing specific culture and values in the organization. IT for compliance, facilities for security, and the list goes on. While this process of meeting with internal teams to understand their needs may take time, it's an important process to go through. By identifying a list of their requirements, you can start creating a list of all of the necessary forms, trainings, processes, and communications that your organization wants a new hire to go through. While it's easy to design a new hire orientation based on what internal teams need, dedicate time to considering the new employee's needs as well. What do they get out of it? Think about what the ideal outcome for them after orientation. Are you hoping they'll walk away from the new hire orientation excited and telling their friends about their new job? A great way to get ideas is to speak with recently hired employees and ask them what their primary questions were when they started. If you only focus on the needs of internal teams, then your new hire orientation could easily sink into a morass of paperwork, mandated trainings, and long presentations. They will hear all about the company, rather than what their role is and how they can grow and be rewarded. Centering yourself on the new employee's needs is a good check against this. Research backs up the benefits of the employee-centered approach as well. In their paper "Breaking Them In or Eliciting Their Best? Reframing Socialization around Newcomers' Self-expression," published in the March 2013 Administrative Science Quarterly, a research team finds that shifting the focus to an employee's personal identity leads to an increase in both employee retention and customer satisfaction. After you've created your list of new hire items, review the list with a fine tooth comb and edit it thoroughly for clarity as well as relevance. Does the employee need to see these things right away when they start? Is this something they will find useful to them in their first week? The phrase "drinking from the firehose" comes to mind when it comes to new hire orientation. In the rush to provide as much information as possible, the flow of paperwork can become overwhelming. An employee handbook is a useful tool for companies that want to provide information in a digestible format. Well-written handbooks are clear and easy to read, and focus not only on the necessary forms and policies but also communicate the organization's culture and values. Consider making your employee handbook available in a searchable digital format as well, rather than just a paper handbook. Tools like Notejoy are useful as a way to create a searchable and up-to-date repository of knowledge for your organization. Management and leadership of an organization are just as important as the role and work itself to employee satisfaction. Rather than making new hire orientation a training run by the Human Resources department, incorporate senior leadership into the schedule by rotating speakers. That way, employees have an opportunity to interact with and ask questions of senior leadership from the first day. A Gallup study found that 50% of Americans have left a job to “get away from their manager at some point in their career.” Manager satisfaction equates strongly with employee retention, and orientation is a great way to kick that off. Consider a manager new hire checklist as part of your orientation process to provide guidance for managers on what they should do. Here's an example below of a manager new hire checklist. Notify the team that a new person is starting and what the person's job will be, and ask them to welcome the new employee. Prepare a set of interesting tasks for the employee's first week. 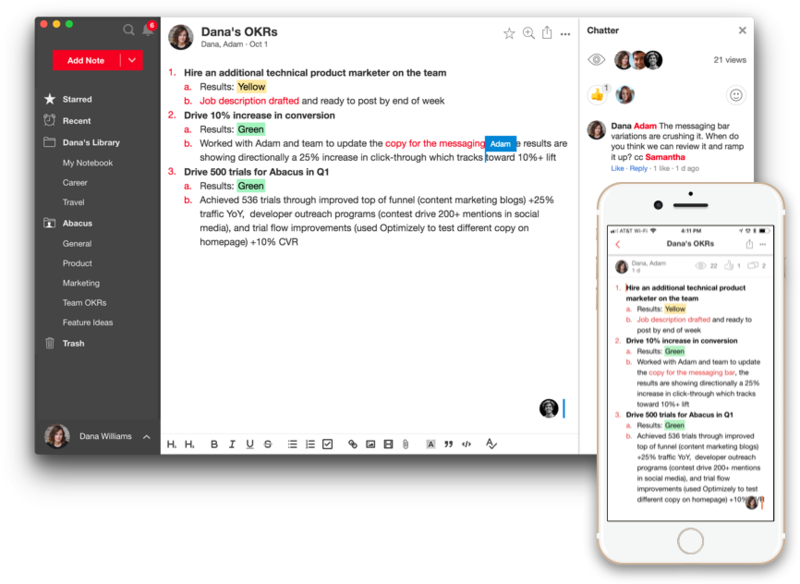 Update the employee's calendar with any 1:1s, team meetings, or company meetings that they need. Hold their first day on your calendar so you can meet them for lunch. Contact IT to make sure that their computer, phone, and any other accounts are ready for them. If possible, identify a team member to act as the employee's buddy. Good luck and don't hesitate to contact [email or contact person here] if you have any questions! Spend more time building high-performing teams and less time managing the onboarding process. With Notejoy, you can create a customized version of this checklist to streamline your entire employee onboarding process for managers throughout the team. You can use this checklist as a template, and make a custom version for each employee and manager which starts.